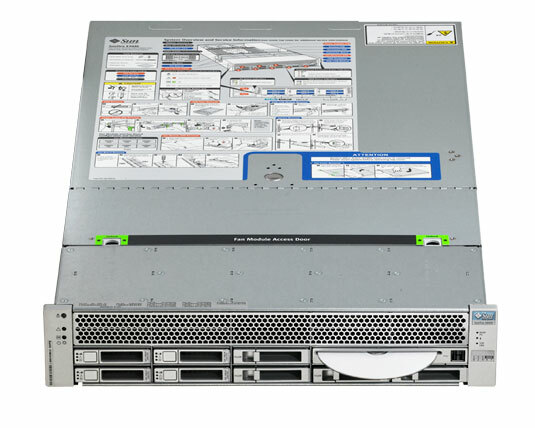 The Sun Fire X4440 server offers a combination of performance, density, scalability and energy efficiency, while decreasing costs and complexity. Whether you need new or used Sun Fire X4440, we have a large inventory and offer same-day shipping. Request a quote now on a refurbished Sun Fire X4440, or contact us at info@vibrant.com or 888-443-8606 with any questions and price requests. Interfaces One TIA/EIA-232-F asynchronous RJ45 Port, Four channel SAS interface, internal access only. For pricing on new or used Sun Fire x4440 servers, upgrades or parts, please contact Vibrant sales at sales@vibrant.com or call 888-443-8606 or 952-653-1700.